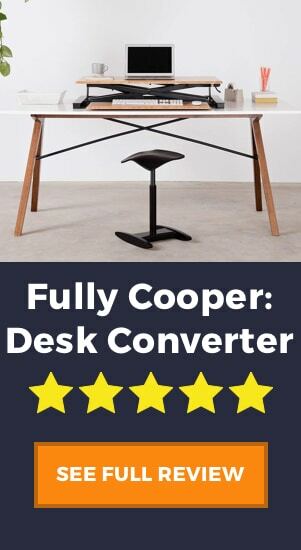 Home » Office Equipment » Standing Desks » Uplift 2-Leg Desk Review: So Many Customizations! The Uplift 2-Leg Standing Desk has nearly everything you’d typically require of such a standing desk, although it’s price tag may be slightly prohibitive for some. That said, the sheer amount of options and add-ons the Uplift desk offers is something you don’t get in most standing desks, so for people with specific needs and requirements, it’s worth seeing if a customized desk is the way to go. If there’s one thing this electric standing desk will be known for, it’s the sheer amount of options and accessories available. The Evodesk Pro had its fair share of configurations to offer, but the Uplift 2-Leg Standing Desk takes things up a notch — you might just assemble the desk of your dreams once you’re done picking all the add-ons. First, you pick a desktop style. But even this is already difficult with so many choices, all of which are eco-friendly and GREENGUARD certified. Uplift clearly pays attention to specific details — every style uses ergonomic corners and high-pressure laminate (HPL). Then there’s the desktop size that comes in four options ranging from just 48 by 30 inches to a maximum of 80 by 30 inches, which is perfect for multi-monitor setups. For comparison, the Autonomous SmartDesk 2 – Business Edition comes in only two sizes. Once you’re done picking the size and frame color, there’s still a lot more options to go through. There are grommets for cables and power outlets, digital memory keypads, wire management kits, casters, CPU holders, keyboard trays, modesty panels — plus other add-ons you’ll find in a standing desk. Unlike a desk such as the Varidesk ProDesk 60 electric, these add-ons do come at a cost, but the good thing is you can pick and choose what suits you. And if those weren’t enough, Uplift offers some items for at no cost whatsoever. Pick the standard 18 by 30-inch anti-slip standing mat or the Bamboo Motion X-Board. Then you get to choose among six designs of desk organizer sets and a 4-port USB 3.0 hub. It’s easy to think that a two-leg standing desk will wobble around once you start using it on the highest setting. Surprisingly, the Uplift 2-Leg Standing Desk has been given remarkable reviews when it comes to stability. You could place up to three 24-inch monitors along with a gaming console and a laptop on the second smallest desktop size available without worry. 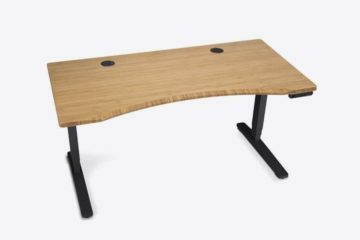 Although it has only two legs, unlike some 4-legged desks such as the Xdesk Air Pro, the Uplift desk employs a 3-stage frame which helps when it comes to stability. The Uplift frame expands higher than a two-stage frame could and allows faster yet quieter height adjustments while being more stable at higher levels. A second benefit is that it makes the desk compatible with an under desk treadmill. Third, the dual motors located in the two legs stabilize the desk as you raise or lower it. Any occurrence of wobbling when you set the desk in its highest position is negligible. In addition, the three-stage design enables a safety reverse sensing feature to keep your gadgets safe when lowering the desk. Plus, this type of frame keeps the desk from breaking due to overloading. The Uplift 2-Leg Standing Desk already has an impressive weight limit of 355 pounds, which is more than double the maximum capacity of RA Products New Heights Levante and the Mount-It MI-7967 Electric Desk, which have 150 lbs and 176 lbs respectively. We’ve already mentioned how height adjustments are easier with the three-stage design, but there’s so much more to commend. The lifting mechanism of the Uplift 2-Leg Standing Desk is dependable due to its sheer consistency, which is an important aspect if you’re looking for a desk to use on a regular basis. The mechanism is undeniably smooth. Instead of abruptly going to a halt, the desk does something much better once you stop pressing the height adjustment button — it slows down its movement until it completely stops using a specially designed motor function. This not only protects the desk itself but it also prevents any items from shaking. We did say that the standing workstation moves quieter due to the three-stage design, but there’s still a bit of noise. However, the motors produce a type of noise that isn’t annoying at all. Its sound is acceptable, similar to how one doesn’t mind the low, humming sounds of an air-conditioning unit or coffee maker. How a company assists its customers after the purchase is made says a lot. In the case of the Uplift 2-Leg Standing Desk, there’s unanimous praise for the customer support. You won’t have trouble exchanging a small desktop for a much larger variant in case you changed your decision after sending the order. Their support team is helpful in case you need updates when your order is being delivered through multiple shipments. And the same applies to requests for additional options and accessories — you are always guaranteed to receive replies that are short, to the point, and professional. With 7 years warranty and the option to extend to 12, the Uplift Desk has one of the better warranty periods compared to most other full-size height adjustable desks. For clarification, the Uplift 2-Leg Standing Desk does not come with a badly written manual. There are instructional videos to help beginners distinguish one component from another. The steps are easy to understand and follow. Likewise, a power drill helps if you’re short on time. There’s also no certainty you’ll spend two hours setting it up. You can get the desk assembled in less than 60 minutes if you are used to organizing furniture parts piece by piece. But for other owners, it can take several hours. Apart from the lack of experience, another big factor seems to be the number of add-ons. Thus, the long duration isn’t exactly a big issue. If you’re setting this up in your office, you must set several hours for both the assembly and the repositioning of furniture in the room. Request assistance, especially because moving the heavy standing desk requires another pair of hands once fully assembled. This in and of itself isn’t too different from most other desks. The only exception is the iMovR Lander which has an incredibly well designed “no tools” assembly. It’s difficult to argue against the overall quality and versatility of the Uplift 2-Leg Standing Desk. But all of its optional components have their own price tags that add up on top of one another — and it’s not cheap. The best wire management kit costs $98 while keyboard trays start at $119. This adjustable standing desk has a list price of under $1000, but this is the bare minimum. From there most choices you make, such as desktop shape, size, grommets etc. will add to the final bill. Even if we view it at its base price, it is still more expensive than the likes of the Fully Jarvis, making it somewhat prohibitive for people on a budget. The desks are pretty similar overall so if you are looking for something a little cheaper then maybe we recommend reading our Fully Jarvis review. The total package includes assembly screws and pre-drilled holes that help cut the assembly time. However, there are some rare occasions when the holes have improper alignment. Also, not everyone is comfortable with having to use a hex key or Allen wrench for most of the assembly screws. There were free ties for the cables and wires, but they aren’t made to carry a good number of cables. Making them heavy-duty ties would have made organizing all the wiring less time-consuming. So if you have multiple computers on your desk, get a cable tray or cable tie mount to fix this. There are also issues with how tight the plastic hole inserts for the power grommet holes are — unplugging a power cord could take the whole grommet out with it as well. While not really a big issue, I think it is always good to point out even the smallest of flaws. 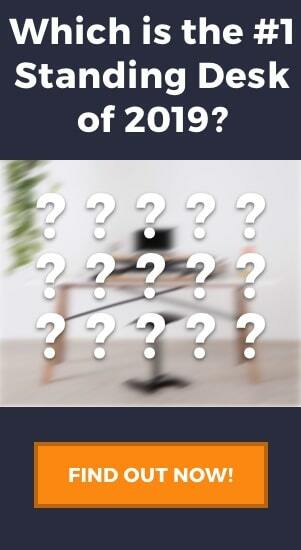 Is the Uplift 2-Leg Standing Desk for You? There are many factors that make this motorized standing desk a great choice. If you’re looking for a highly customizable model, this is the one for you. The number of options and choices within those options is astounding. Still, this is a two-leg standing desk and there are no options to change this. 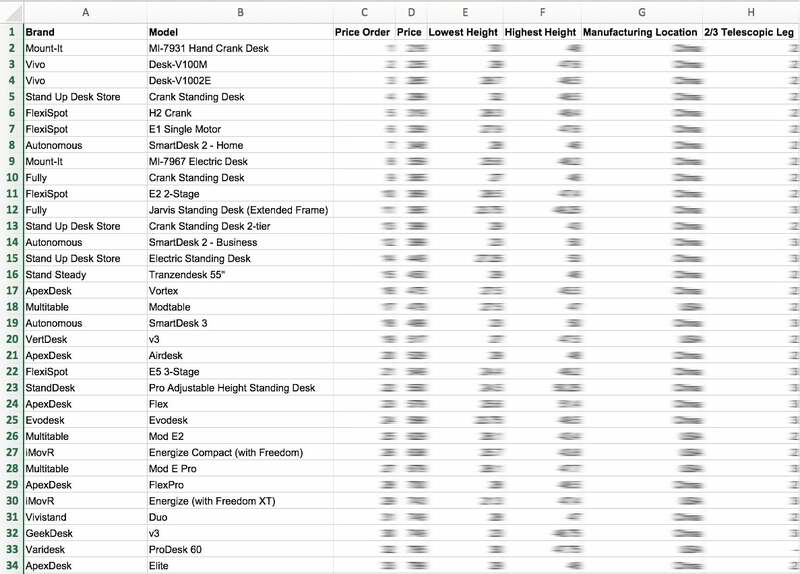 You can get the 4-Leg Standing Desk from the same brand, but that has a list price of over $1000 — quite a lot dearer than the two-leg variant. And speaking of price, one huge factor that determines whether this is for you or not is your budget. Are you willing to spend an extra $200 for the standard keyboard tray and casters? How about an extra $244 to extend the desktop size to 80 by 30 inches? These are all factors that must be considered. For people who don’t like surprises and don’t mind pre-configured desks, there are options like the Varidesk ProDesk 60 which has a fixed price and fixed number of add-ons. But overall, the Uplift 2-Leg Standing Desk is an excellent standing desk. You cannot go wrong with its faultless lifting mechanism and its three-stage design. On top of this, a pretty hefty warranty period should give you peace of mind when buying this product. Lastly, this is a great choice if you want reliable customer support. Whether you need shipping updates on your order or you want to have a part replaced, you get a prompt response. Not every company can say the same. The Uplift 2-Leg Standing Desk succeeds in a variety of ways. It has no problems with overall stability and durability. Customization is extensive, and the quality of both customer support and warranty service is far better than what you’d usually expect. So while its hefty price isn’t exactly its selling point, the Uplift 2-Leg Standing Desk has the standout characteristics to justify the cost.